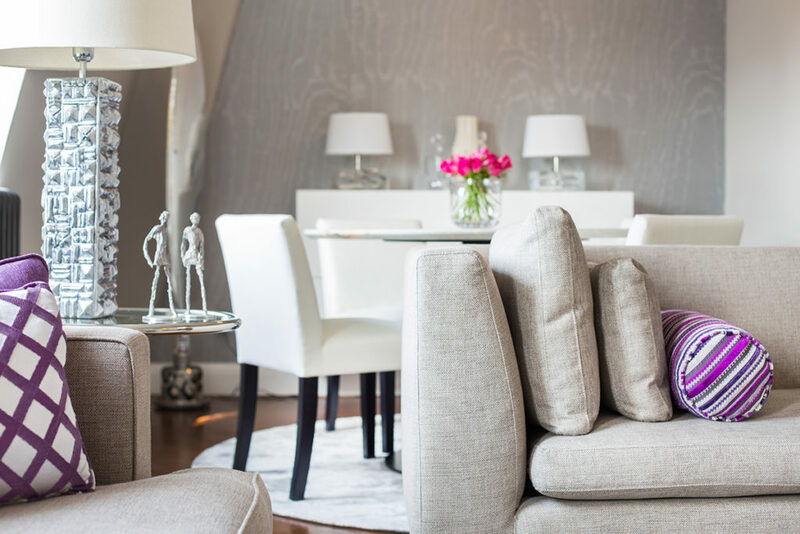 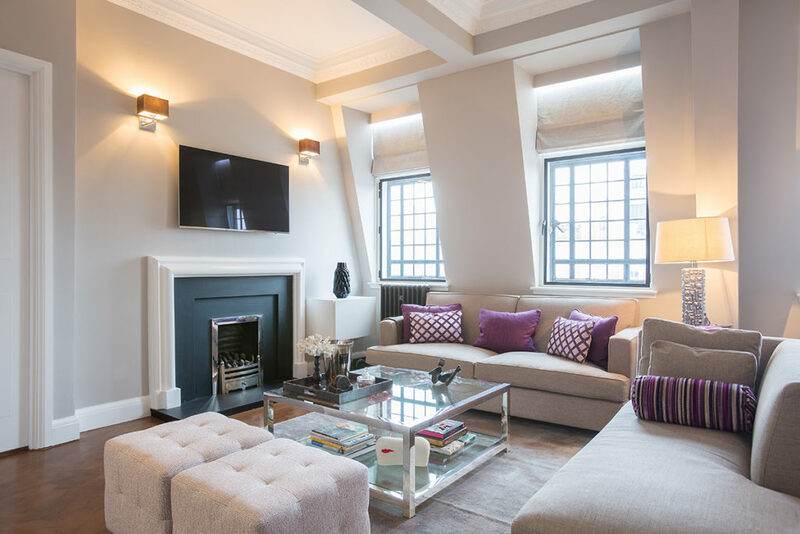 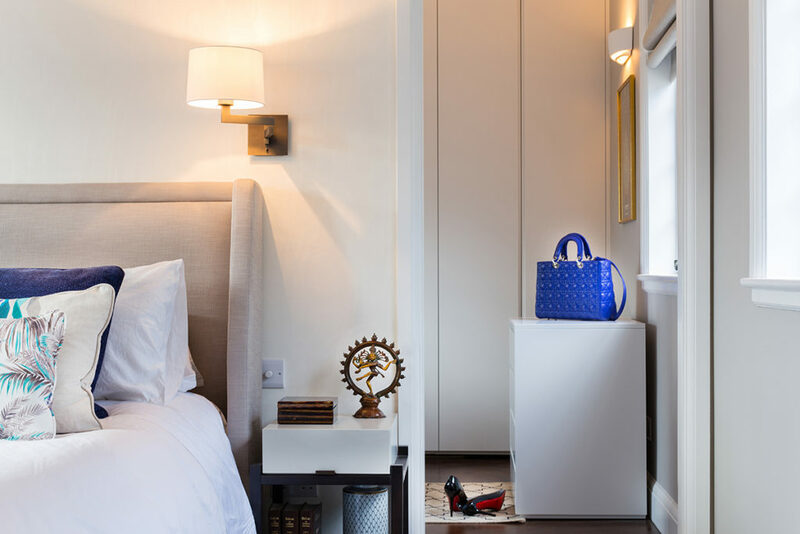 Lewis & Co was asked to design the interiors of a Marylebone (London) home, in a modern style, to bring in colour and modern furnishings and add a sense of style and comfort. 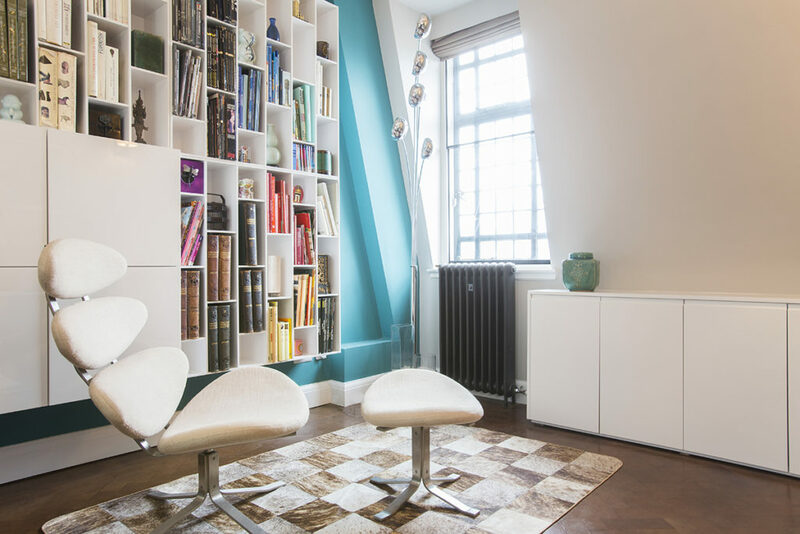 The theme was modern chic. 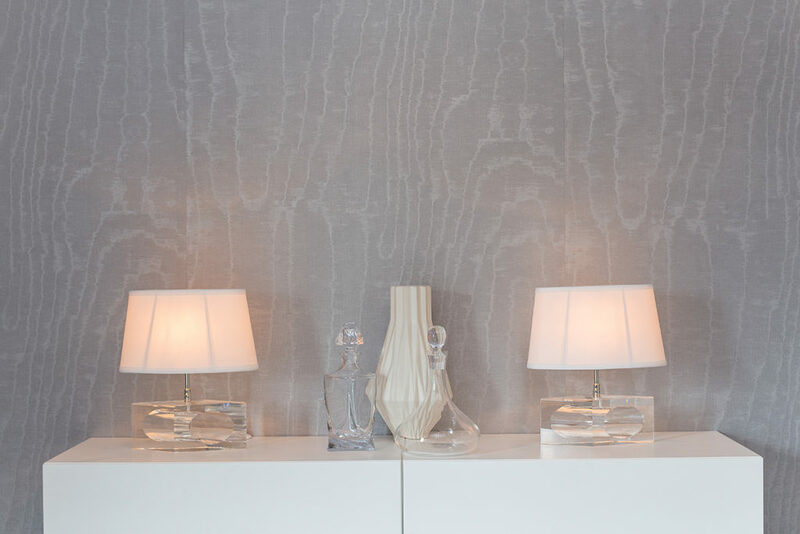 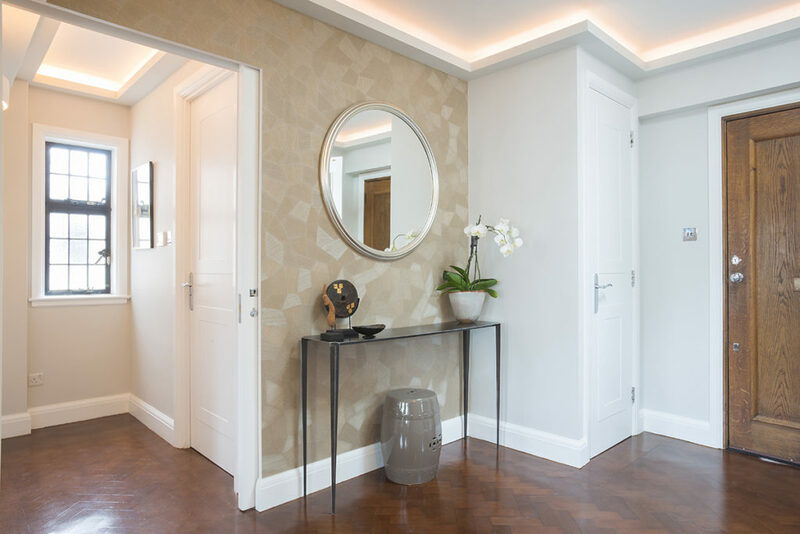 We chose an elegant wallpaper, alongside refurbished wooden flooring to create an inviting entry hall. 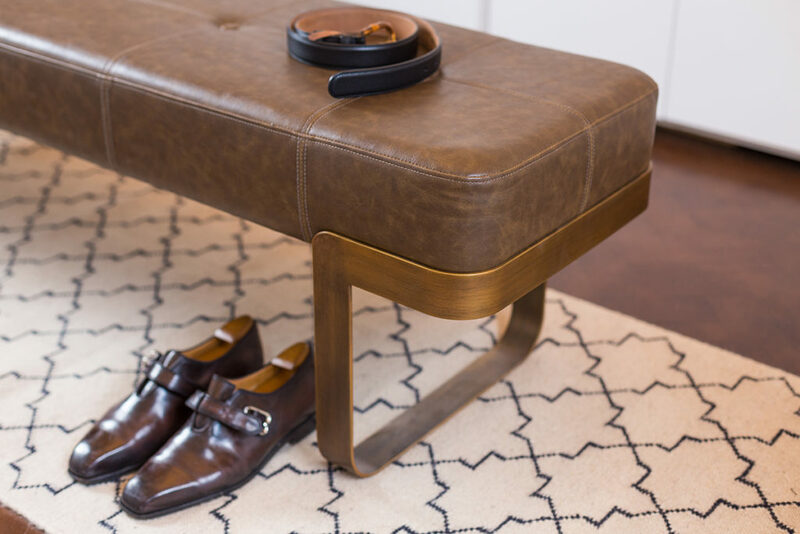 We placed the Skinny Console from the Lewis & Co Metal Collection as the focal point of the space. 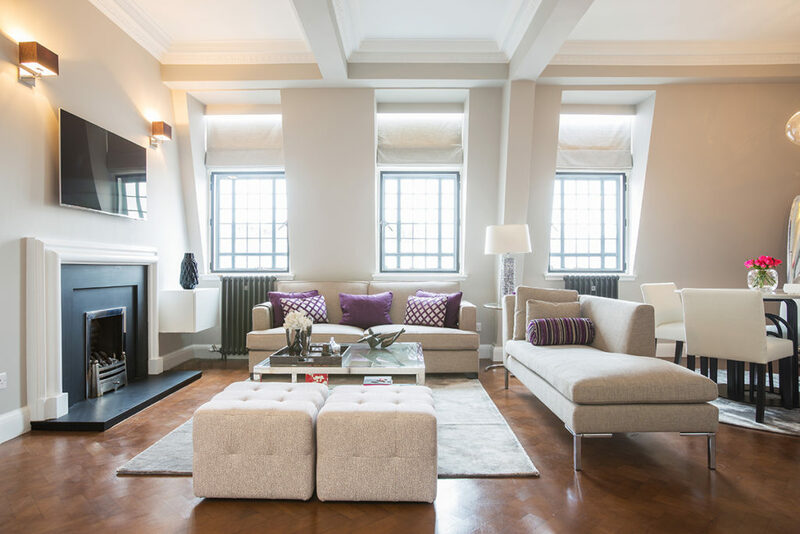 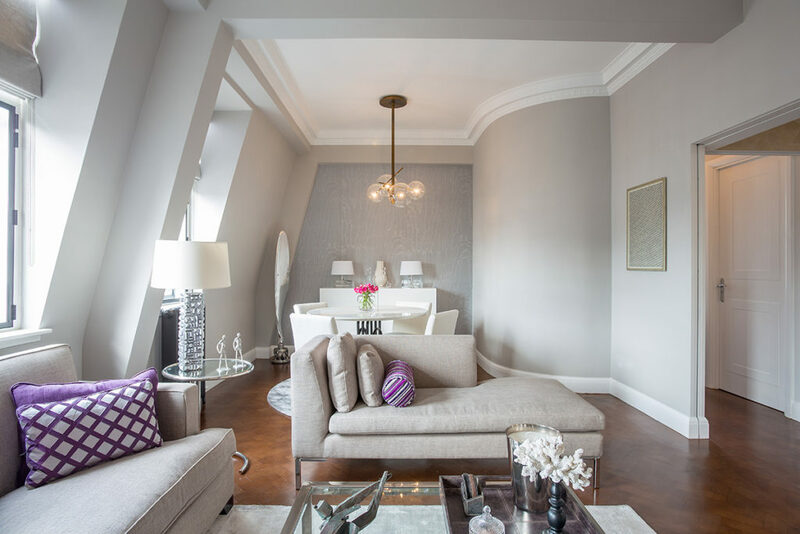 The reception room was designed to be contemporary and chic, but functional and comfortable. 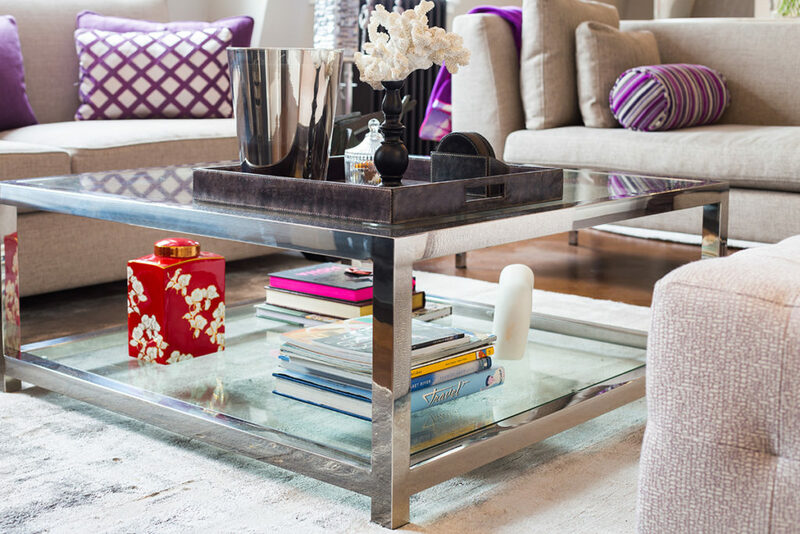 We used cushions and other accessories for colour and accents. 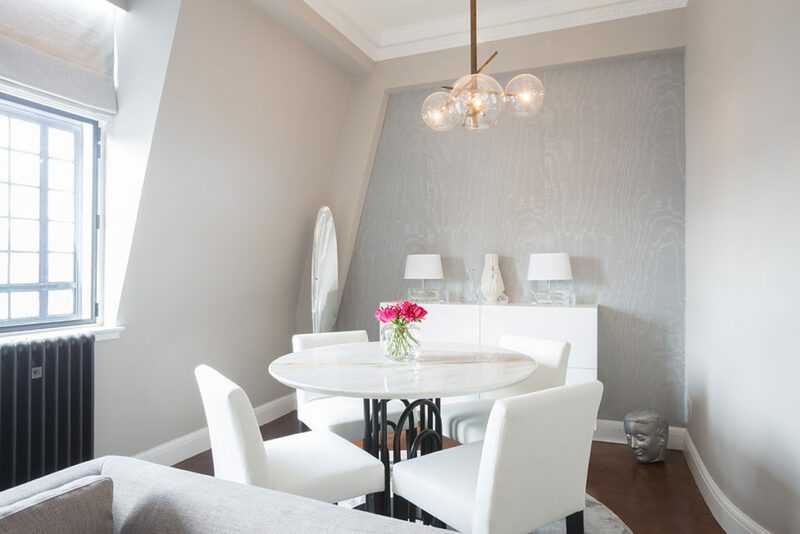 The dining room is classic, but simple in a monochrome white. 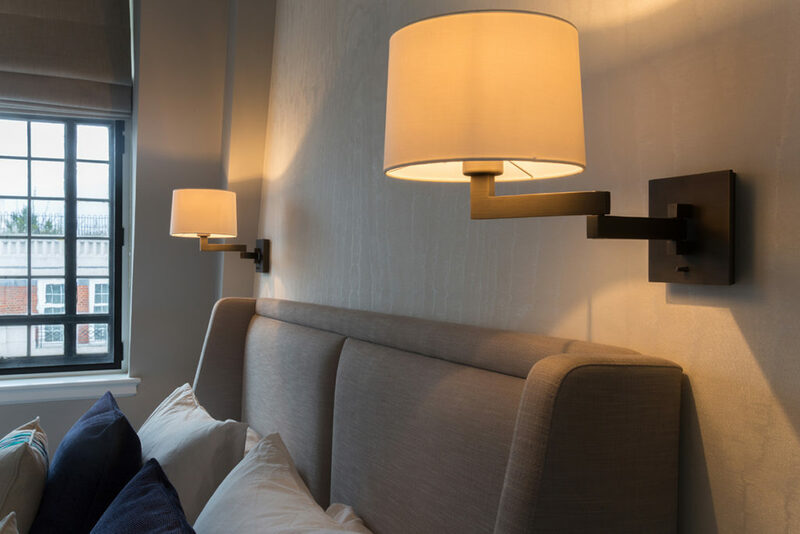 We chose wall lighting sconces above the custom headboard to create warmth and add a touch of elegance to the bedroom. 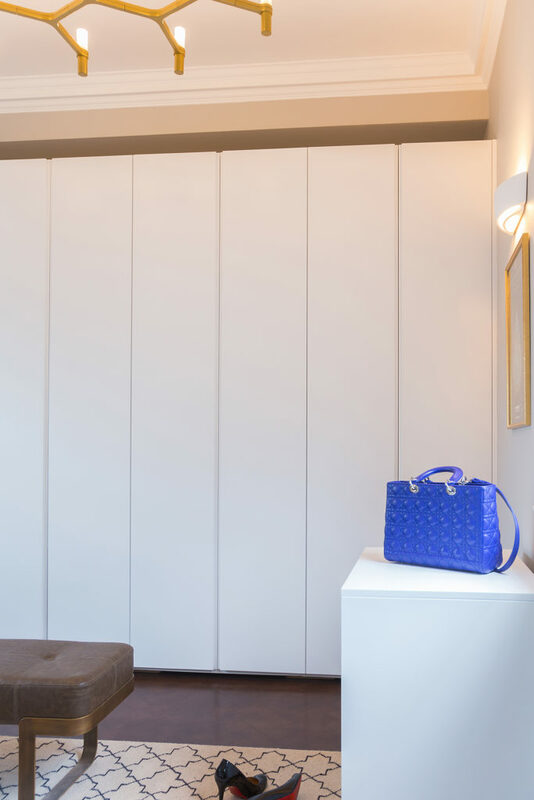 We designed wardrobes that are functional, yet elegant and discreet.